With this video, we continue showing you how to crochet accessories for daily life or for a date. 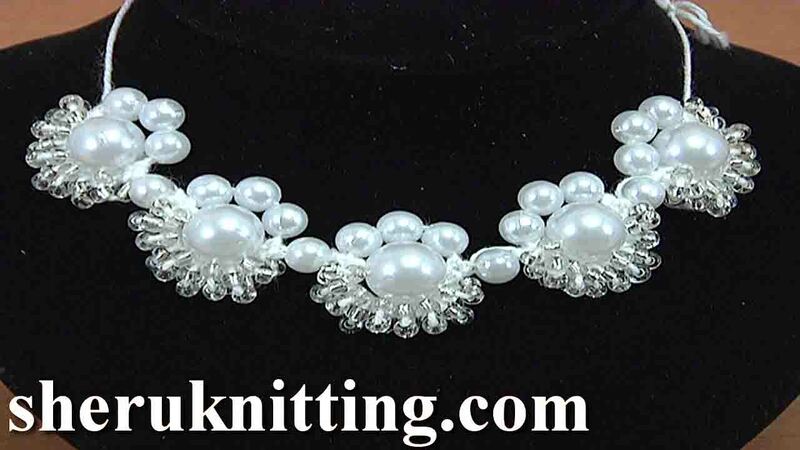 Today I'm gonna to work with this crochet necklace with bugle beads and just beads. The master demonstrates you how to join 3 kinds of beads in the process of crocheting in this masterclass. We were used: 100% cotton yarn, a meter of 169 meters in 50 gm, a hook of 1.3 mm or 2.0 mm, beads: round bead d = 0,8 cm, seed beads (uneven, coarse, transparent and dyed from within with silver): d = 0,25-0,35 cm.